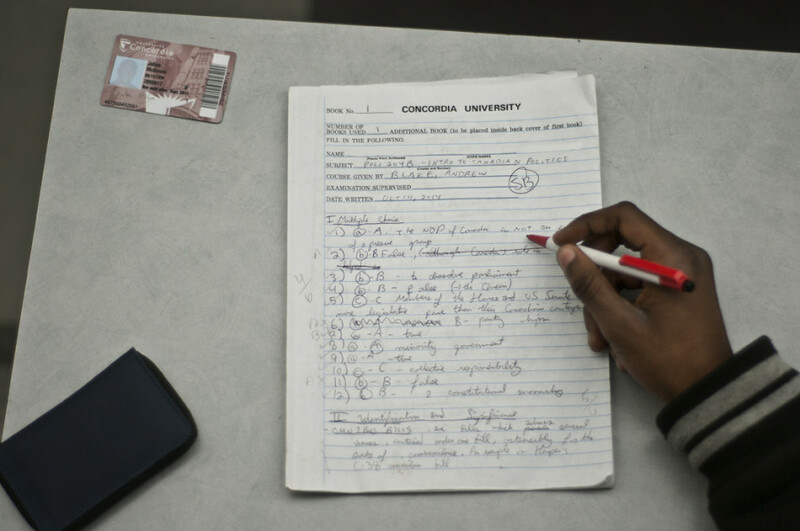 In a vote held in November and December, Concordia’s exam supervisors opted to officially organize as a union group under the auspices of Teaching and Research Assistants at Concordia. According to an email sent to Concordia invigilators by the Public Service Alliance of Canada— TRAC’s parent union—an “overwhelming majority” voted yes to unionization. The vote was delayed over the fall semester due to a dispute between Concordia and PSAC over which invigilators should qualify to vote on the issue. When the list of electors was finalized, a team of campaigners worked to get out the vote, which was conducted by postal ballot. “We had to hunt these people down,” said TRAC bargaining officer Isabelle Johntson in an interview with The Link. The team searched for the names of invigilators on Facebook and Google, contacted them through mutual friends and even went door-to-door to ensure that the ballots would be sent to the correct address. “We had to contact every single person, either face-to-face or over the phone,” Johnston said, explaining that any ballots not sent back to Concordia by the invigilator in question were counted as “No” votes. Johnston deemed the majority vote “a big triumph” given these challenges. The vote is the culmination of a nearly year-long campaign to unionize, which began when a small number of invigilators raised their concerns over pay and working conditions with Concordia’s Graduate Students Association. The GSA then joined with TRAC to organize a union drive. But Rupom, who was the GSA’s 2013-14 Engineering and Computer Science Director, still sees areas for improvement. A major one is pay, which he thinks should be increased. Another is the provision of breaks. “It’s really tiresome to stand for three hours in a small room, he said. “It really hampers concentration. According to Johnston, other commonly expressed complaints include favouritism in hiring invigilators, the lack of a seniority system for determining who gets re-hired and the absence of job postings. In coming weeks, the invigilators who make up the union will elect a bargaining committee to represent them in negotiations with Concordia. The collective agreement, which Johnston hopes will contain provisions to improve working conditions, will allow invigilators to file a grievance with the union if their employer does not respect the terms of their contract. “For example, if you’re supposed to get a 15-minute break every four hours, and you’re not getting [one], that would be something you would file a grievance for,” she explained. Johnston remains cautious about the committee’s chances of success. “Right now we’re facing austerity measures here, so the university isn’t going to be very generous about giving people raises,” she said. However, she also commented that she “wouldn’t be surprised” if Concordia proves to be more flexible on working conditions than on pay. “I think that’s something they can make concessions about,” she added.